The late spring season into early summer can bring unexpected rainy days. If you are home with the kids all day or after school, the rain can make time stand still before dinner and bedtime. If it’s a weekend day, kids can really get antsy sitting indoors for hours on end. Here are a few fun indoor activities to enjoy with kids if you are caught with a rainy day outside. Even if your kids are young, you can make this activity fun for them. Pick a cookie or other baked good recipe and get your aprons on. Try a family recipe from Grandma’s recipe box and tell the kids your favorite stories from growing up. Or, pick a fun recipe like “Kitchen Sink Cookies” and have the kids pick any ingredients they want to add to a basic chocolate chip cookie recipe. Anything from coconut flakes, peanut butter chips, walnuts, craisins or raisins will be tasty and fun for the kids to bake with. If your kids are into crafting, ask them to search Pinterest boards to find an easy afternoon craft. Set up the kitchen table with any and all crafting supplies and encourage them to make something for the playroom or their bedrooms. This will get their creative juices flowing and pass a couple hours of bad weather any day. Kids love to play charades, so write down several fun characters to play out, cut them up and play a few rounds of charades. Then, grab some board games suitable for kids, set out snacks and blankets and gather around the family room table for an afternoon of games. If it’s a particularly gloomy or lazy day, invite the kids to the family room or basement for an afternoon of movies, popcorn, candy and cuddling. Have them put on their comfy PJs and agree on a movie or two to pass the time. This is a two part series where we are discussing simple daily maintenance that will help to ensure a longer life for your wood floor. Long term maintenance considerations are important, but the daily routine is what is practical for guarding your floor from damage ever day. In Part 2 we discuss how to protect your floor from objects and how to move items from place to place. Shoes are not friendly to floors. Especially high heels! These shoes seem to be made with a vengeance towards your wood floors. The sharp tips of the shoes can cause small indentions and divots. Some can be repaired, but not all! Scars can be avoided by either removing shoes when walking on hardwood floors for extended periods of time or by buying heel protectors that slip over the heel tip. Does your dog spend time inside? Make sure your pet has his nails trimmed occasionally. Indoor pets can damage wood floors if their claws are too long. Protect your wood floors from furniture! All furniture that sits atop your wood floors needs to have a barrier between itself and the floor. Many options exist, but check with the manufacturers recommendations for the best ideas. Keep your floors dry! Use mats in spaces where water is going to splash like the bathroom or kitchen. Your furniture can seriously scuff or scratch your floors if pushed around without proper precautions. Once again, there are multiple products on the market specifically for helping with this. However, be sure to check with the manufacturer to find the best product to use with your floor. Seemingly against the previous point, you should move your furniture around occasionally to ensure even wearing. Just make sure you move it safely! A furniture dolly can help with moving larger furniture, but make sure to plan for the weight and wheels! Protect floors at this point as well! Your wood floor maintenance doesn’t need to be overwhelming. It’s easy to take care of your beautiful wood! Flooring trends may change, as might your taste and style, but your floor is meant to be there for you through thick and thin. Don’t forget to read Part 1 of the Hardwood Floor Maintenance guide. This will be a two part series exploring the easy tasks you can do daily to ensure a long life for your wood floor. Major maintenance considerations are always important, however they aren’t practical for guarding against normal life routines. The following tips are simple enough for even the busiest person and can be performed on a regular basis. This post will cover how to protect your floors from outside influences and simple cleanup. Part 2 will cover the proper way to set things on top of your floor and how/when to move them around. Window treatments are the first line of defense against the UV rays from the sun. Make sure to keep this in mind when purchasing your window coverings. Wood floors are expected to naturally change shades and colors over time due to sun exposure, however with the right protection this can be controlled well. Mats and small rugs are the trusted guards who protect your floor. These ever vigilant protectors can grab ahold of a large amount of dirt and grime before it ever makes its way into your home. Sand, dirt or gravel can be tracked in on the bottom of shoes. These are a very real enemy of your floors. These highly abrasive particles will do slow but steady damage to the floor. These can be placed at every entrance to your home, outside or inside. Be sure to buy a mat or under-pad specifically made for wood floors so that the backing doesn’t do any damage. The climate where you live can also make a big difference. Wood floors respond best to consistent humidity levels. This helps avoid contraction and expansion of the wood. All air regulation systems can help: humidifier, air conditioner, dehumidifier, or heater. A cheap broom won’t save you money in the long run. Buy a high quality broom and dust and sweep your floors as often as possible. Liquid messes cannot be cleaned up later. Paying attention to small messes can save you heart ache. Take the necessary time to quickly blot the mess with a soft cloth. Be careful about using a vacuum on your wood floor. Using one without a beater bar is a great option, or your vacuum may have come with a hardwood floor attachment. This is incredibly helpful in removing dirt from crevices where a broom will not reach. Stains and spills are not fun. For candle wax or chewing gum, try using a credit card to remove the excess. With a little care and time, your wood floor will thank you with years of use. Treat it well! Choices in gardening can be overwhelming for those who have never tried it before. However, even a few vegetables can show a benefit with regular watering and care. Container herb gardens can grow starter herbs like basil, chives, thyme or rosemary. Even small spaces can be home to a beautiful garden! Your home and family will thank you for the effort! Try these suggestions for tips and plants to start you on the road of gardening. This is one of the most popular plants for beginning gardeners. Tomatoes not only come in several varieties but also a variety of sizes. These plants can be quite prolific, so you may want to start slowly. Hanging baskets and pots can be a great choice for those with limited space considerations. Don’t forget that tomato plants need lots of sunlight. Be sure to plan strategically. Zucchini is another prolific plant. It can easily take over your garden if you don’t plan correctly! Start with only one or two plants in your first garden. Zucchini plants also need plenty of sunlight along with water – not an area to try to skimp! With this plant, either the blossom or the resulting vegetable can be harvested or eaten. Both are delicious. There is a reason that so many recipes contain this ingredient. Zucchinis will grow quickly, even overnight. If a specimen looks ready to pick, then grab it! Like tomatoes and zucchini, green beans come in many varieties for the home gardener. A vine-growing bean is a great choice for those who are lacking in horizontal space, and bush types are available for those looking for a lower maintenance variety. Seeds only need to be planted in fresh soil where they can receive plenty of sunlight. Another incredibly easy plant to grow is lettuce. Many varieties of lettuce are available – baby romaine, red or green leaf, some spicy and some sweet. This vegetable has the benefit of taking up only a little room needing small amounts of sunlight. Lettuce can also be harvested on a continual basis. Just tear or cut the leaves allowing the base of the plant to remain. The leaves will continue to be produced through the growing season. Careful selection of plants for first time gardeners is a great way to see the benefits of growing plants at home. With a little bit of care, a wonderful harvest will be reaped! The foyer is usually the first impression that visiting guests have of your home. Since it has multiple functions, this space should feature items and furniture that are not only attractive but also practical. Decorative items can also be very useful for presenting a warm and welcoming environment. A stylish mirror where you can check your appearance before going out, for example, can be hung from the wall. Instead of a painting, a striking clock can be displayed. If needed, a pair of accent stools can also be placed under a table. For storing small items such as keys and spare change, bowls or jars with wide openings can be used. If ever you need more storage space, a small chest can be used instead of a table. Ambient lighting can be achieved using wall sconces. To highlight decorative features such as the unusual-looking clock or intricately made jar, accent lighting can also be added. 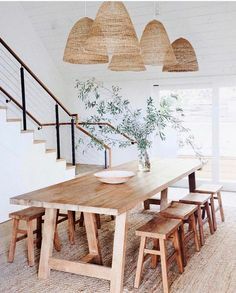 Aside from overhead lighting, additional light when putting on and taking off shoes can be provided by a small lamp placed on top of the table or chest. If you want to cut costs, adjustable lighting might be more efficient. Despite the primarily functional use of foyers, aesthetics should not be disregarded. Upon entry to your home after a busy day outside, the foyer is the first thing you see. It should, therefore, exude a relaxing and inviting ambience telling you that you are home. It also gives the visitors their first impression of the interiors so it should be a dynamic reflection of yourself and your lifestyle. Enhancing the sense of entry can be achieved by having a different scheme for adjacent areas. Since the space for the foyer is usually very small, you can get away with using very busy and eye-catching patterns. Combined with furniture of solid colors, harmony can still be attained. Bright colors can also be used to introduce vigor to your home. A vase filled with freshly cut flowers can bring in a little bit of the nature outside into your entryway. Tall, vertical plants and hanging terrariums can add even more character to the area. Various wall displays, which do not take up valuable floor space, can immediately engage visitors. Despite being a small area, the foyer is a significant part of your home. It can be a very suggestive space so taking the time to think about how you would like it to be designed is important. 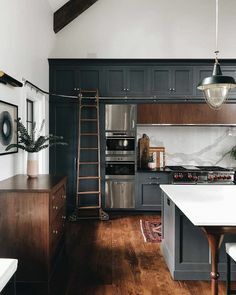 What Are Some Ways to Make A Room Appear Larger? By tricking the eye a room can actually appear larger. It is a type of optical illusion often used in decorating. What are some of these optical illusions that decorators use to make a room appear larger? Color Usage: Lighter colors have a tendency to make things feel more spacious and open. Darker colors have a tendency to draw things closer and give a feeling of being closed in. You can have a few pieces of darker furniture against a sky colored wall, and you will have the feeling of open space. You might try using bright contrasting colors for the trim. Make your room into a painting and a work of art. Murals: Murals are an excellent way to draw a room out and make it seem endless. You can even extend the mural onto the ceiling in the form of a sun set or clouds. You can use almost any type of mural you want to create the effect you desire. Paths off into a forest or a glimmering city in the night give the illusion of a far away distance. Amusement parks often use this magic on their rides. You feel like you are in a huge space, when actually you are in a small area. Mirrors: We all know the tricks of mirrors to give the illusion of doubling a room size and adding depth. The more mirrors the better. It really is best to use mirrors with out massive frames if possible. A whole wall done in a solid piece of mirror would be excellent. You can also use contrasting colors on mirror frames to give the illusion of floating in space, especially if you are using them against a cloud painted wall of muted colors. You become part of a surrealist painting. Large windows and Natural Light: Windows and sliding glass doors unhampered by coverings really do create a spaciousness because you are working with the real thing. If you live amongst buildings this might not work because of the privacy factor. If you have an adjoining wall or a patio, you could paint a depth creating mural on it. Plants outside are also a depth giving factor, and you could pull a blind at night time. Organized and Less Furnishings: When trying to create spaciousness it is good not to have a lot of pieces of confining furniture. Try to keep excess clutter at bay. The more space you have the better. By using these tricks you are well on the way to making your room appear larger. Be creative and create the optical illusion of a spacious room. All of the same effects that you are using on an eye level can be carried upward, giving the effect of endless space, such as windows and mirrors on the ceiling. You can actually paint your furniture where it blends into the wall. This would work excellent with a mural. You can have your dream and create a room which appears larger for the ultimate in decor. In this overview of home decor accessories we will take a quick look of some very enhancing features of their addition to the total decorating package, room by room. The total decorating package includes every room in your home. It is good to add the beauty of accents without going into debt. You can add many wonderful accents and accessories in a sensible and economical way using a little ingenuity. In every room window coverings, blinds and curtains are a very important addition, and can set the mood for the home. Accessories can be functional such as a clock, mirror or stool.A form of artwork is also good for every room. Side tables and lamps can also add to both the functionality and décor of your home. Living Room: In addition to the draperies in your living room there are other accessories you should consider. Paintings, sculptures and coffee table centerpieces add a definite statement as fantastic living room accessories. Dining room: The dining room can also have rich drapes or the lighter shades and blinds. Good accessories include a focal point of a major lighting piece, and possible wall sconces. Be sure to keep in with your decorating scheme. Den: The den is a more relaxed room and deserves fun accessories. Decide what your family would enjoy and take it from there. Unique novelty pieces can make a great statement here. 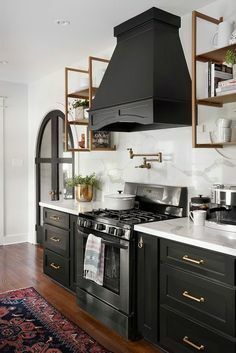 Kitchen: Accessories for the kitchen are numerous. Keep with in your decorating style and try not to create a cluttered look. Lighting plays a big role as an accessory in the kitchen, altering the mood, look of food and the ease of preparing meals. Don’t make the mistake of placing low lighting in the kitchen – you’ll need to watch where knives are cutting! Bedroom: The bedroom is your special place, and deserves your special accessories. The main focus in a bedroom is typically the bed covering. Start here and let your own personality shine. Be creative when you are adding and selecting your home decor accessories. They are the finishing touches on your painting, the decor of your home. You don’t need to be a decorator just keep everything tastefully placed for a total decorating package. Wooden flooring has been highly coveted ever since it was first introduced. Everyone wants to give their floors that sleek yet warm look. It adds a great degree of sophistication, together with a homey feeling. The only problem – what do you do when you also want to have a pet in the house, or you need to push around some heavy furniture? Those kinds of situations can be nightmarish, for almost every home owner with wooden floors. Luckily, there are a couple of things you can do to make things better for yourself. These tiles come in the form of planks and look very similar to wood. Made from ceramics, they are very realistic and give that warm, natural look to your floor while offering very good scratch and wear resistance. Laminate flooring is not as durable as the kind of tile mentioned above but it does have some some excellent qualities. It is very resistant to scratches and is easy to install, though frequently moved heavy furniture may give problems. Brazilian Walnut, or Ipe flooring, is a great alternative to treated woods – it is very dense and hard, and offers very good dent resistance. It is tough not to at least consider Hard Maple as a flooring material when you’re looking at using wood. It has been used for basketball courts for a century, giving you peace of mind about any pet-induced scratches. Hard maple is also called rock or sugar maple. Bamboo grass is hardened through a process that incorporates hard resins into the grass. Though Bamboo is technically a grass, the flooring industry classifies it as a wood. When it comes to long wearing and scratch resistance, bamboo flooring is a clear front runner with a beautiful natural appeal. It’s great to know that there are numerous options when it comes to scratch and dent-resistant flooring. The folks at Century Tile are more than willing to help you out with your choices!